Roche Holding will halt two late-stage clinical trials of its crenezumab drug for early Alzheimer’s disease after an interim analysis indicated it was unlikely to hit its primary goal, the Swiss drugmaker said on Wednesday. The drug company had hoped that crenezumab would act on amyloid beta proteins that build up in the brain’s of people with Alzheimer’s. 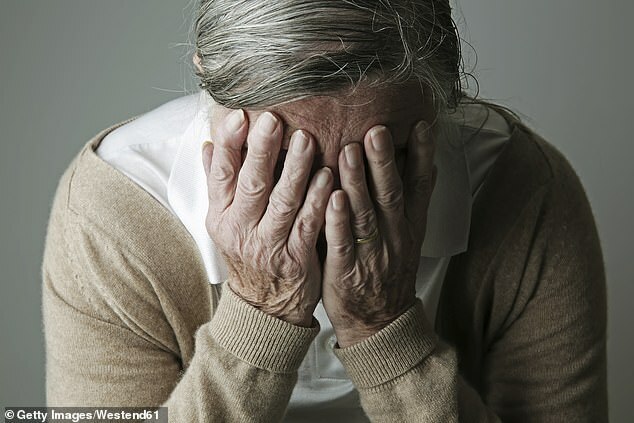 Its tests of the drug on patients in the disease’s early stages were set to continue until October 2022 and March 2021, but the patients weren’t scoring any better on dementia tests. The cancellation of the late-stage trials comes as a blow to the hopeful families of Alzheimer’s sufferers and is further casting doubt over the theory that these protein plaques are the right target for Alzheimer’s treatments. Until recently, the mechanisms at work in Alzheimer’s disease were mysterious. So far, amyloid beta plaques – sticky clumps of proteins that scientists have thought might ‘clog’ the brain – have seemed to be the most clear markers of the disease. These plaques became the favorite target for therapies in development from some of the world’s largest pharmaceutical companies. Around the world, some 44 million people are living with Alzheimer’s disease, which is currently the sixth-leading cause of death in the US. As the global population ages, the disease will only become a greater burden. So a cure – or even a more effective treatment than existing therapies – would be world-changing, not to mention a major financial boon for any company that makes one. The Alzheimer’s Association estimates that discovering a cure by 2025 would reduce the number of Americans with dementia from 13.5 million to 7.8 million by the year 2050. A cure could also save US families and the government $ 935 billion over the course of a decade, according to the foundation’s report. But that goal and timeline look less and less realistic with every trial failure – particularly those as major as the CREAD 1 and CREAD trials of crenezumab, both of which were in their final phases. Between them, the two double-blind studies had 1,563 patients who were in the early or intermittent stages of Alzheimer’s disease. Half of the patients got IV infusions of crenezumab, an antibody thought to attack amyloid proteins, while the other half received a placebo. Both trials began in 2017 and the patients were supposed to be given standard memory assessments – via an interview designed to test their cognitive functioning – after 105 weeks. But before they even reached that assessment point, the Roche scientists became convinced that their patients would not show improvements, and called the trials off. AC Immune Chief Executive Andrea Pfeifer said the company was ‘extremely disappointed’ by the news, adding that she was still hopeful the study in Colombia — focusing on cognitively healthy individuals with a genetic mutation who are at risk of developing Alzheimer’s disease — would turn out more positively. ‘While it’s hugely disappointing to hear another drug trial for Alzheimer’s disease fail, we’re far from losing hope,’ remarked Dr James Pickett, head of research at the Alzheimer’s Society in the UK. He is still convinced that amyloid should be the target of prospective therapy research. ‘Increasingly, research shows us that while amyloid plays an important part in Alzheimer’s it’s not the only issue – that’s why we’re funding essential research to fill gaps in our knowledge and find new angles to tackle the disease,’ said Dr Pickett. Alzheimer’s remains a compelling target for drug makers as the affected population increases, but treating the disease has proven elusive, and trials are extremely expensive, costing an estimated $ 5.6 billion over 13 years per development program. Last year, Eli Lilly and AstraZeneca discontinued late-stage trials testing their Alzheimer’s treatment, joining a slew of drug makers to stop developing treatments for the memory-robbing disease. Experimental Alzheimer’s drugs have had a dismal track record, with more than 100 failures, including Johnson & Johnson’s, which the drug giant pulled the plug on in its med-stages last year.